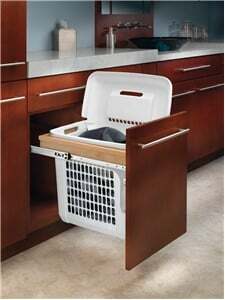 Are you tired of that unsightly laundry hamper sitting on your floor? 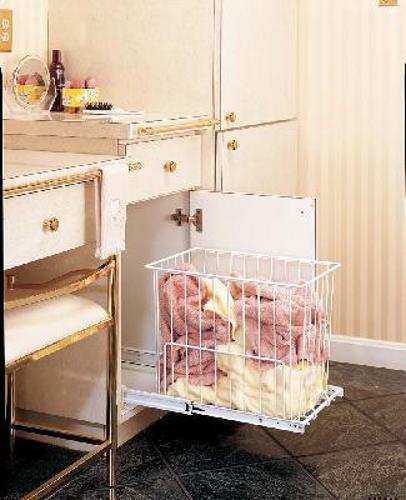 OVIS offers a variety of Rev-A-Shelf Laundry Hampers that tuck neatly inside your vanity, utility cabinet or custom closet. Featuring full extension slides and door mounting capabilities, you are sure to find a hamper unit that suits your needs. 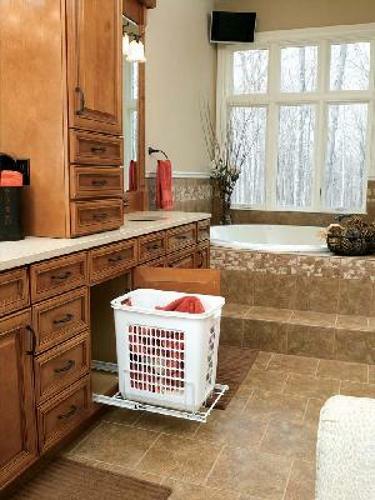 This Polymer Hamper features 2.13 cubic feet of space to hold tons of laundry. Accuride full extension slides provide the strength to handle even the heaviest loads. 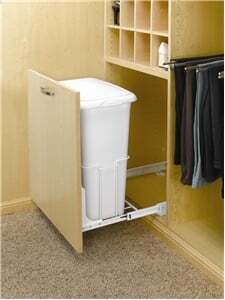 This Polymer Hamper features 3.68 cubic feet of space to hold tons of laundry. Also includes a lid and door mount capability. Accuride full extension slides provide the strength to handle even the heaviest loads. Comes fully assembled. This Wire Hamper features 2.13 cubic feet of space to hold tons of laundry. Accuride full extension slides provide the strength to handle even the heaviest loads. This Wire Hamper features a wire basket with of space to hold tons of laundry. Accuride full extension slides provide the strength to handle even the heaviest loads. This Polymer Hamper features 1.37 cubic feet of space to hold tons of laundry. Accuride full extension slides provide the strength to handle even the heaviest loads. 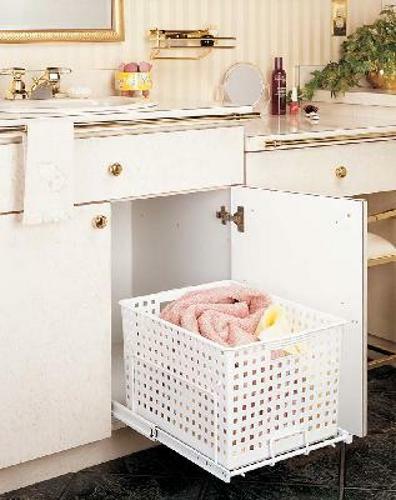 Wood Top Mount Vanity Hamper Pullout is constructed of light maple and perfectly designed to be installed into your bathroom vanity or closet storage cabinet areas.